Fibreglass swimming pools designed and constructed by Master Pools by MBUILD, throughout the southeast, bayside and Mornington peninsula suburbs. Working only with truly qualified and experienced swimming pool builders, we promise a personalised service and complete project supervision from start to finish. We have the ability and knowledge in areas such as site inspection, permit application, excavation and installation. Ensuring you get the most out of your new pool and outdoor living environment is our priority. We will manage your project from concept through to completion, ensuring your new fibreglass pool is completed on time and to the highest standard. Located in Cranbourne West, our Display Centre is nothing short of amazing. We showcase some of our most popular pools along with design and landscaping ideas. Established in 1991, Matthew Milnes, qualified Master Builder and the owner of Master Pools, prides himself on providing a wide range of innovative fibreglass swimming pools, spa pools, lap pools and training pools with a vision to be recognised for his unrivaled style and sophistication. With your inspiration, we work to create in-ground swimming pools that are functional, efficient and relaxing, but just as importantly an area that will take your breath away. Our creations will not only excite you but will also inspire others. Our team will demonstrate their ability via unquestionable skills and workmanship and also possess the correct attitude and integrity. We listen and act upon our clients wishes accordingly. Our communication is ongoing from the time we first sit down with you right through until your dream is realised. We offer you peace of mind in the knowledge that your beautiful swimming pool will not only be an asset to your property in years to come, but will also provide you and your family countless hours of enjoyment. 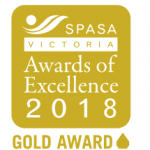 We have recently been awarded the SPASA 2018 Victorian Gold and National Silver Best Pool Display Centre. Copyright © 2019 - MBuild (Aust) Pty Ltd. Designed by Ripe Designs.